A new study finds that just one workout per week of both aerobic and resistance training can boost the health of women over the age of 60. Researchers from the University of Alabama at Birmingham monitored 63 women who performed combined aerobic exercise training and weight training for 16 weeks. One group performed both training types one day per week, while a second group exercised two times per week. A third group worked out three times per week. The study found significant increases in muscular strength, cardiovascular fitness and functional tasks in each group, but interestingly, there were no significant differences in outcomes among groups. The study, announced Friday, will be published in The Journal of Strength and Conditioning Research. "One of the biggest barriers to exercise training for the older female population is adherence, and one of the key findings in this study is that doing a little bit of exercise can go a long way," said lead researcher Dr. Gordon Fisher. 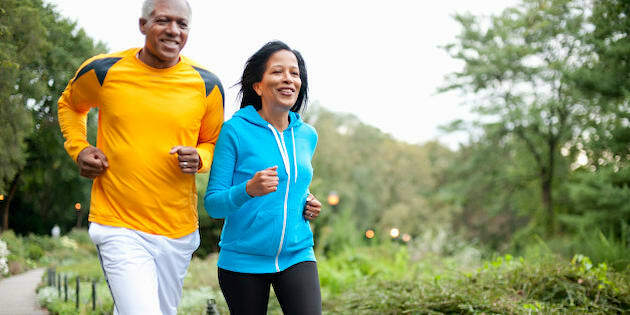 "Telling people that they need to do at least three to five days of exercise to improve their overall health can be a major obstacle," he said. "Lack of time is the most often-cited barrier to exercise adherence." But this study shows that one workout per week "can provide a lot of benefit for older women's overall quality of life and health."